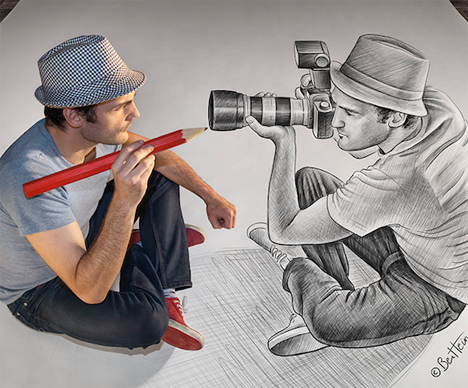 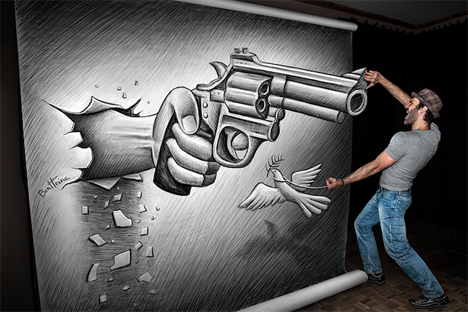 You might think artist Ben Heine has Photoshopped himself into his own pencil drawings, but he’s actually standing on top of them. Much like the mind-bending optical illusions produced in chalk by sidewalk artists, these are flat drawings that just seem like they’re three-dimensional. 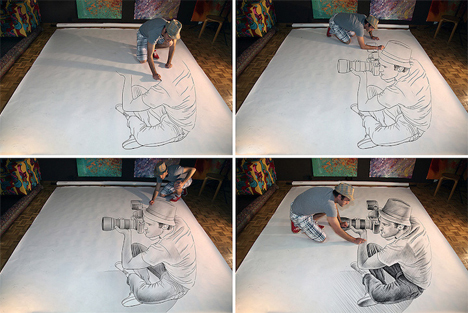 The Belgium-based multidisciplinary artist mixes photography and drawings for the series ‘Pencil vs. Camera,’ one of his best-known projects. 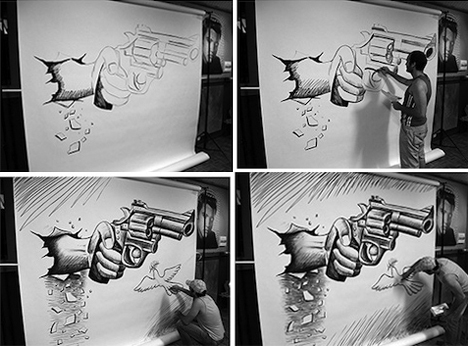 The drawings seem to pop out from the page when viewed from a certain perspective, making it look like the artist is interacting with his own creations. 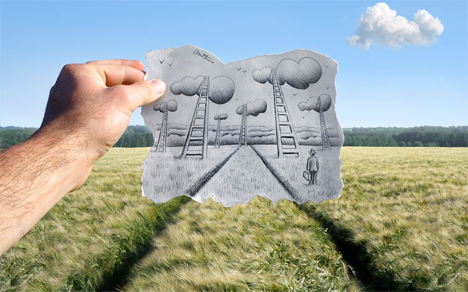 Another part of the series blends Heine’s drawings with landscape photos so they match up. The artist selects a location, draws a fanciful illustration, and then takes a photo of the combined results.